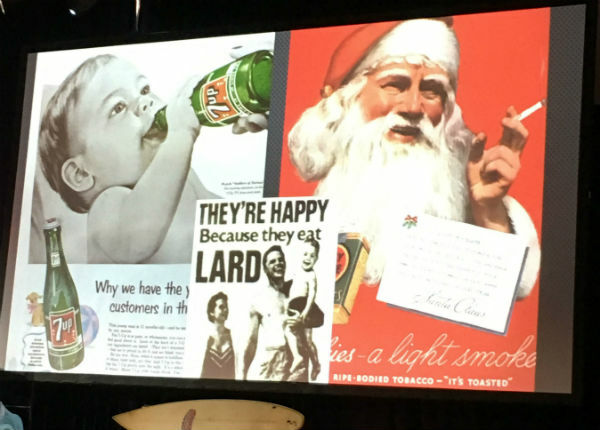 SMMW Recap: Mark Schaefer on Humanizing Your Marketing Efforts | Reshift Media Inc.
Once again, Social Media Marketing World (SMMW19) did not disappoint. It doesn’t hurt that I just love the city of San Diego and I can hardly wait to spend three days each year where some of the brightest minds in social media gather to share their forecasts on social media trends. Over 4,000 people attended the event this year and another 2,000 joined in digitally. The big trend this year was video, video and more video. Instagram is the new Facebook, and we will see an increased focus on chatbots and Facebook Messenger. Many sessions focused on influencers – but not the high profile influencers you’ve come to know who get paid handsomely for exposure, but rather your very own local customers and fans, and the need to support them as your most valuable influencers. 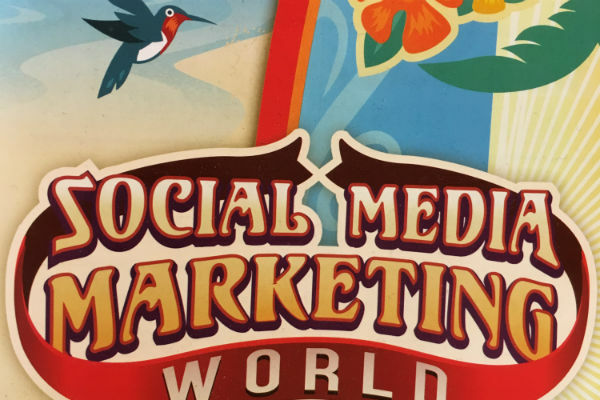 For those who weren’t able to attend the SMMW 2019 event, I plan to share a few short blogs that you can anticipate in the coming days and weeks, where I’ll be focusing on the sessions that stood out the most to me. Flipping things a bit, I’d like to first share what actually came last. It was the closing keynote by Mark Schaefer and although I had never heard Mark speak before, he just blew the audience away. His presentation, “Social Media Reimagined: How to Adapt to a World Without Loyalty,” reviewed how consumer behaviour has deeply changed since marketing began and how marketers need to adapt to today’s reality. Mark recently launched his 7th book called “Marketing Rebellion: The Most Human Company Wins.” He shared some of his research from the book and did a great job talking about how the consumer has changed. He was also very entertaining and had the audience laughing throughout. He opened by saying that he keeps hearing from marketers that they are stuck, marketers feel like they’re falling behind, and that marketing doesn’t work like it once did. Yes, people are struggling to keep up with technology, but more importantly our customers have moved ahead of us. Consumer loyalty is in decline. 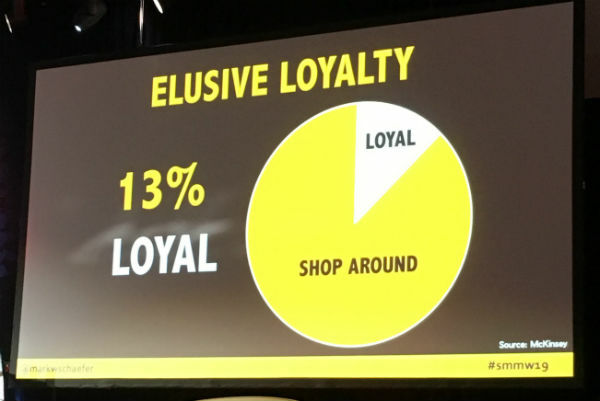 Only 13% of consumers are loyal today, 87% shop around. Marketing & advertising in the early 1900 hundreds was easy, he said. Back then ads were advertising as remarkable promises. Eventually many of the ads became lies. The consumer rebelled. They didn’t want any more lies. The government had to step in and created the FDA & FTC to help protect the consumer. The focus has been on TECHNOLOGY, NOT PEOPLE. Today, marketing = all things human. The customer is the marketing department today. Schaefer went on to explain that marketing used to be mass marketing; today people are organizing themselves into like-minded islands. Some businesses are still trying to beam down their message onto these islands but the people aren’t listening because they’re having too much fun because their friends are there, their families are there, even these people called influencers are there. And that’s who they’re listening to. They may look up once and a while and see these ads, but it just doesn’t work like it used to. Today, 2/3 of your marketing that generates sales is occurring without you! The North Face — What is Madness from Thomas Pison on Vimeo. He asked, “When was the last time you saw a corporate video with people screaming in anguish and crying and bleeding? It’s real.” This video has been seen more than 8 million times. This wasn’t an advertisement, they didn’t place this anywhere; it was simply on YouTube. How did North Face get invited to the island? They made the customer the hero, because they truly are. 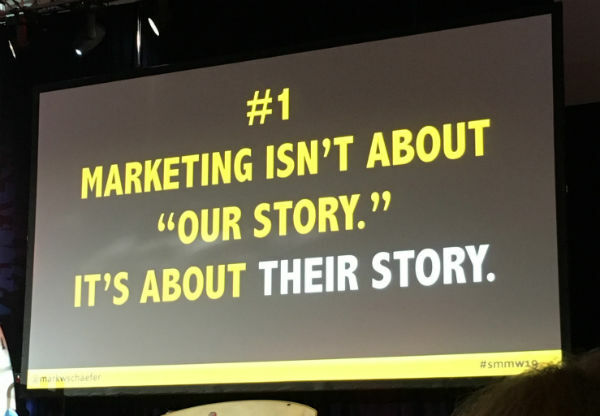 A lot of marketing today is focused on the arc of a brand’s story, “our why.” That’s important, but most customers don’t really care; they care about the arc of THEIR own story. This content was all sourced from personal Instagram and YouTube videos. The customers became the marketers. Schaefer’s message was clear. Marketers can’t buy our way in; we have to be invited. And the way we do this by being more human.